After working with millions of people all over the globe, we have found that organizations that have high engagement drive better results. It all comes down to creating the right environment for engagement. People must be clear on a few things: Direction and Expectations. If people are clear on these two things it causes confusion and confusion causes frustrations. It also allows for people to make up their own defined direction and expectations which may or may not align to the intended direction and expectations. If people are clear, the next question becomes, are they aligned to the direction and what is expected of them? If they are, it creates a path for even better results. If they are not, they could cause disruption with themselves and others. The final piece to this is to ensure every, no matter their role and/position, truly understand their purpose. This helps them understand how what they do matters and helps impact the overall direction and results of the organization. Relationships come down to trust, respect, and rapport. People must work hard to work together by helping elevate each other to drive even better results as an organization. We have found that people are working together but don’t always “work together”. Relationships should never be taken for granted and focus should always be on strengthening them at all levels. 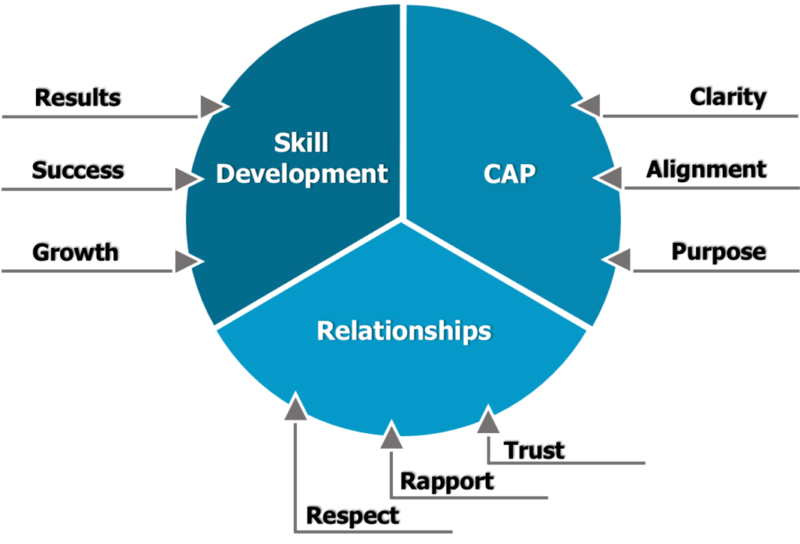 Organizations must make development an ongoing plan at all levels to ensure people have the right skills and can put them to use to help ensure clarity, alignment and purpose, and stronger relationships. Organizations hire us to help them ensure the right skills are being developed to drive even better results. For more information check out our FAQs or Let’s Talk!